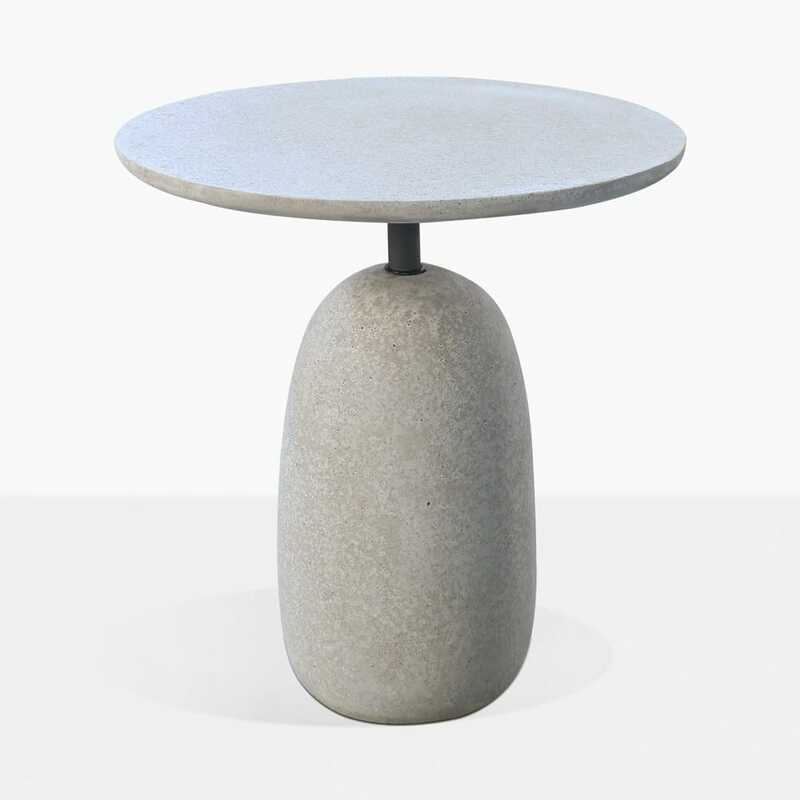 Employ rustic sensibilities with a modern twist with the incredible Mossimo Outdoor Side Table in soft grey. A bold, assured Side Table the Mossimo Concrete offering from Design Warehouse will complete your look and offer a fabulous spot to place drinks, bites to eat, and all while looking superb. 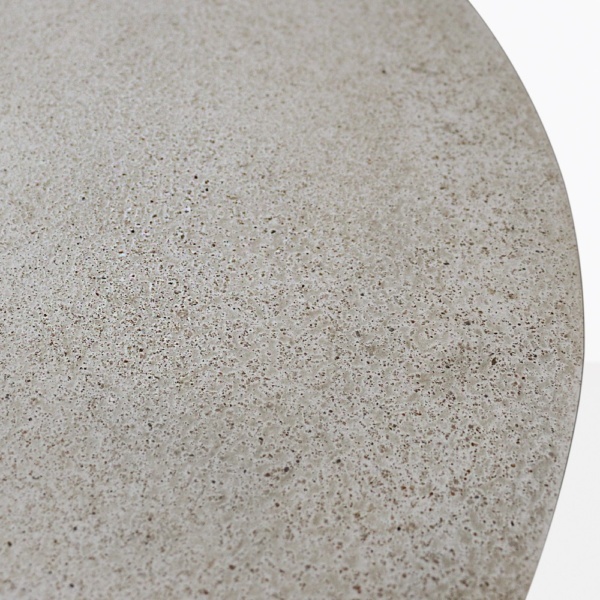 The style of this dashing Mossimo Outdoor Concrete Table is attractive, weighty and contemporary. A thick, rounded pillar forms the base, holding a powder coated aluminium leg, and a perfectly polished concrete surface graces the top. It is chic, state of the art and extremely versatile. Set your Mossimo Outdoor Side Table indoors or out for a wonderful finish to your beautiful setting. Imagine your verandah overlooking an exquisite vista, surrounded by stunning teak deep seating furniture, each corner marked with the Mossimo Grey Side Table. A divine, elegant look for the modern home. Perhaps your indoor living room could do with a bit of a solid edge. Place a Mossimo Side on each end of your soft fabric or leather sofa and enjoy as you have created a haven of style and calm. 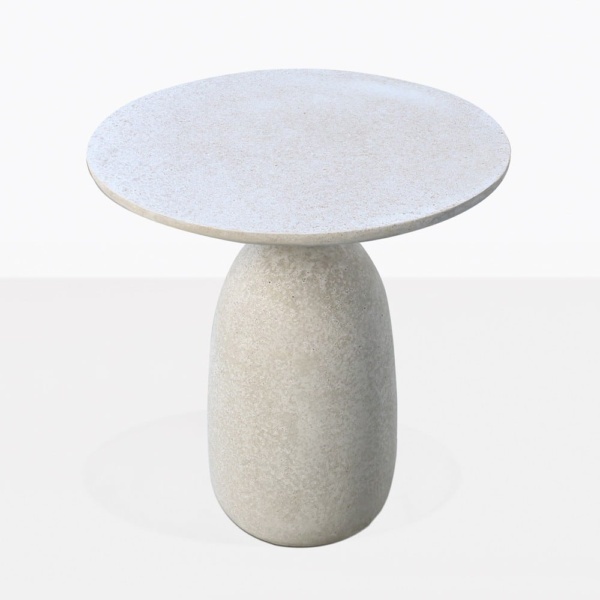 The Mossimo Side Table is constructed from hard wearing, long lasting concrete composite, which incorporates fibreglass and resin to give it a perfect finish, and ultimate strength in the outdoors. The powder coated aluminium leg offers a rust free alternative to steel of old, and looks incredible against the soft grey concrete. All and all, the Mossimo Table is a great piece to sit in the outdoors without worry of corrosion or deterioration. It’s beautiful demeanour looks amazing year round! At Design Warehouse, we have a superb, distinguished array of luxury outdoor furniture. We pride ourselves on having pieces that suit many styles of architecture and tastes! The Mossimo Outdoor Side Table is an definitive piece for your outdoor setting. Call Design Warehouse today and order yours!